IDAHO: Wildlife Official Faces Resignation Calls For Boasting That He Killed An "Entire Family Of Baboons" - Joe.My.God. Do not scroll down if the photos will upset you. Idaho Fish and Game Commissioner Blake Fischer shared photos of his guided hunting trip in Africa with friends and colleagues when he returned last month, expecting they’d appreciate his success. Instead, several former Fish and Game commissioners are pushing for his resignation — with a photo of a “family of baboons” that Fischer shot with a recurve bow prompting most of the outrage. 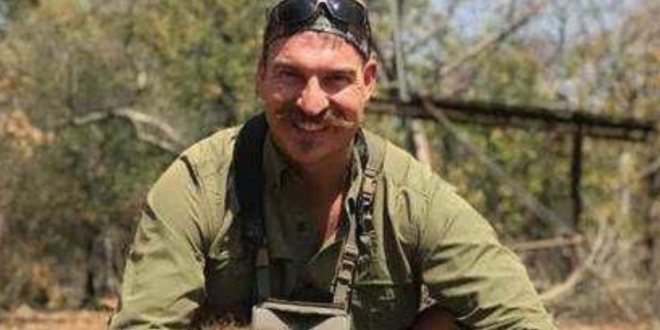 Fischer and his wife killed 14 animals on their trophy hunting trip, including a leopard and giraffe, as well as the family of baboons. Given that people within pro-hunting circles are disturbed by the killing of the baboon family, it is unsurprising that animal welfare groups are taking a strong stance against Fischer remaining in his role as commissioner, since he sees no problem with what he did. “Slaughtering a family of baboons, including a baby baboon, and boasting of his conquest with photos is morally reprehensible,” Kitty Block, acting president and CEO of the Humane Society of the United States (HSUS) and president and CEO of Humane Society International (HSI), told The Dodo. Fischer is an appointee of the GOP governor, who is reportedly mulling a response. Watch the GMA video below.